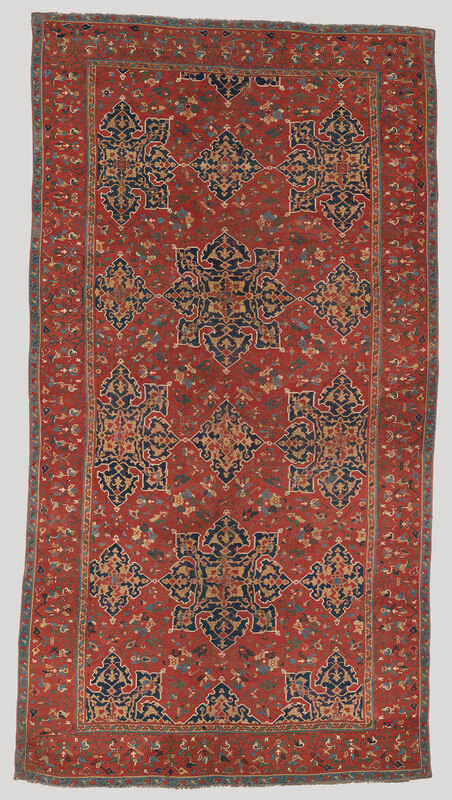 More links for you today on carpets. 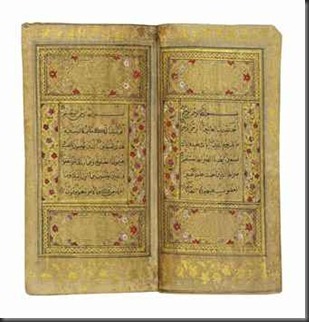 A lovely intro to the Islamic art style is here on a V&A microsite. I’ve never found this site before – why do they seem to hide them away? 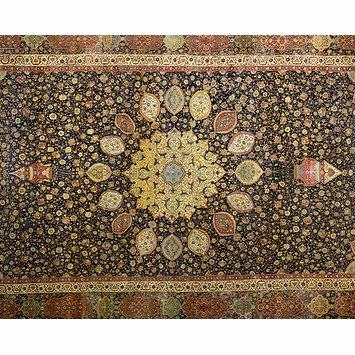 An introduction to Islamic Carpets can be found here. Below are a few examples of the very best from the C16-C17th. 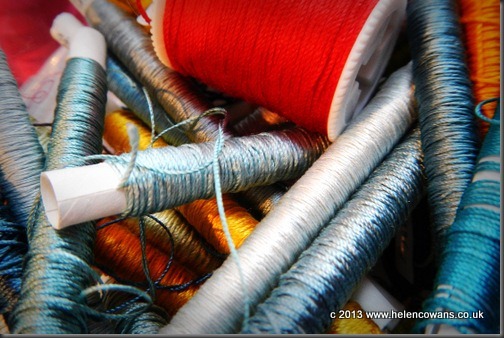 My brain is already seeing some of these designs interpreted in a contemporary textile way. The girls who went to Grasmere will know what I mean…. think J&J…..
Vegetal patterns were seen throughout the areas under study and in pre-Islamic times were very naturalistic, becoming more stylized and abstracted in the 11th-13th centuries then returning to a more naturalistic style – with Chinese influences. By the early 16th century ornamentation in the Ottoman Empire is naturalistic with tulips, rose buds, carnations depicted. You can see more on this here. The Mughal empire loved its flowers of course. 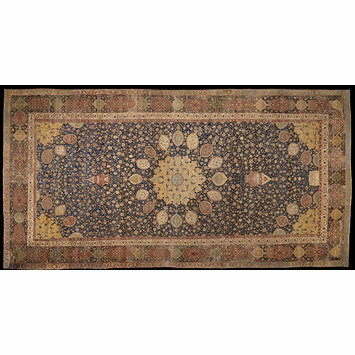 A truly wonderful carpet is in the V&A Museum, London. And if you thought that was good…. Can you imagine over a thousand knots per inch? That’s how some of these carpets are constructed. These silks were part of an order that arrived this week. 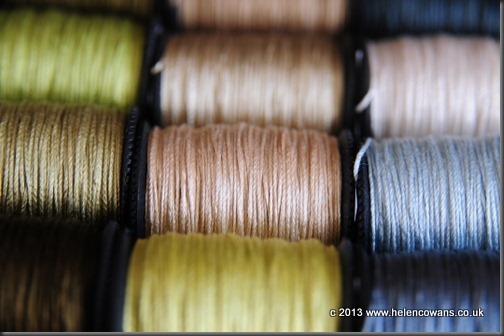 The selection is called “Salt Flats” by Mulberry Silks. The magazine colours haven’t quite transferred accurately, but the colour matching is astounding. Both DS and I noticed the match immediately. Finally starting to feel like tidying up and getting sorted. Ideas for new projects swimming around in my head. Though still very much in hibernation mode just now. 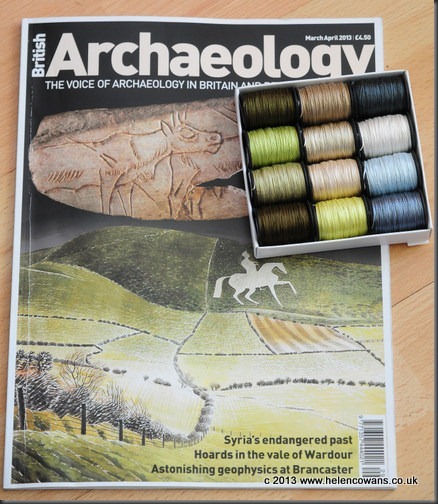 I am so enjoying this course, (along with Astrobiology and Modern World History via Coursera) its not leaving me much time for the studio, but then its so cold and muddy out there that I am happy sitting inside reading and watching videos with some hand stitching on occasional evenings. I thought I would start jotting down some good links here, for those who are interested. 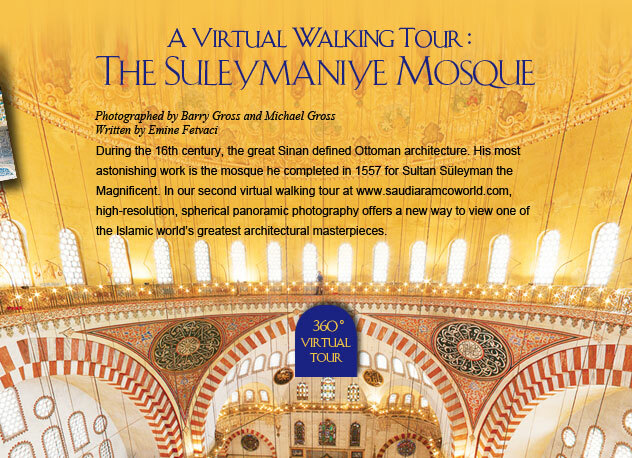 For a virtual tour of a classic domed mosque complex in Istanbul go here. Its is a fabulous website showing the Suleymaniye Complex, built between 1550-7. 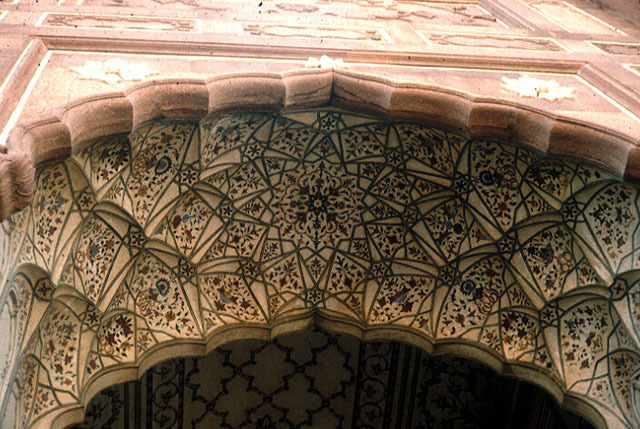 And then we got to the Mughal art such as the Badshaahi Mosque in Lahore. 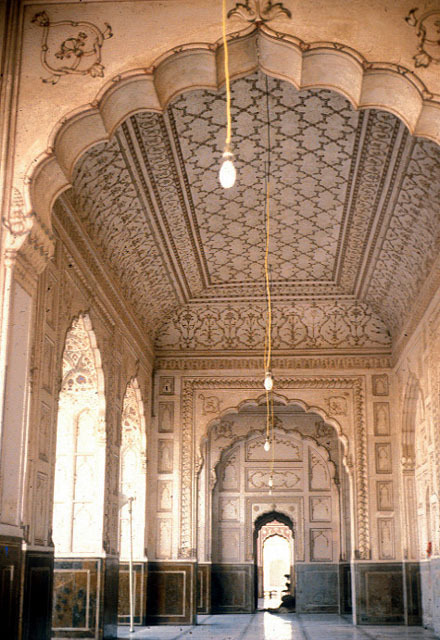 The style of the arches, the internal decoration… I don’t know why but I find it so utterly enthralling and beautiful. Then we were directed to the sub-Saharan African style and I wondered about the fate of this mosque in Timbuktu, with regards to recent events there. 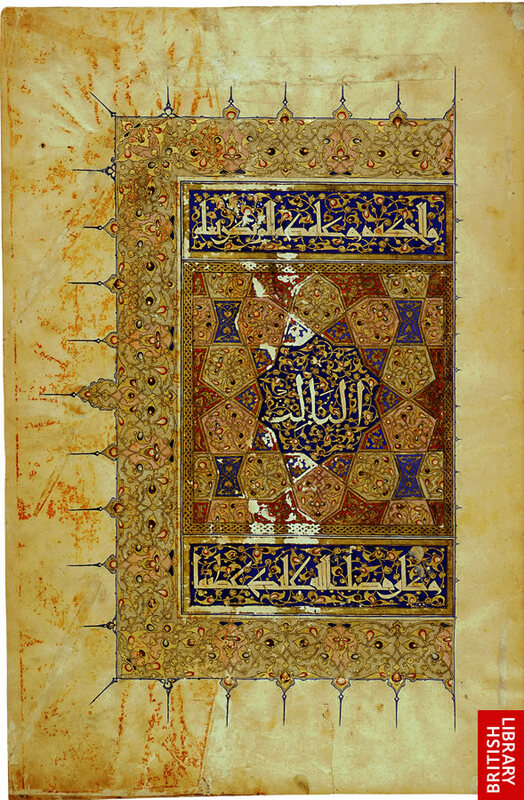 And for a truly beautiful Illuminated Manuscript take a look here. For me the artwork is the important part, not the religion, though of course there is a respect for the importance of this book to the Islamic Culture. When I head to London in March / April I must go and see this for myself. 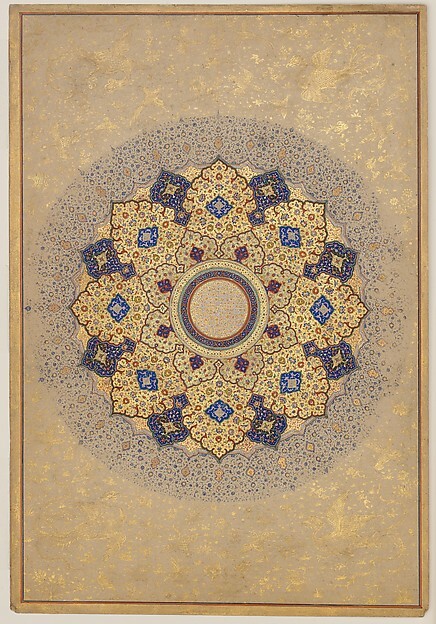 I’m always drawn to Mughal ornamentation and for another stunning page look at this image here, click on the image and you zoom in. This is one of my favourite pages. Reminds me of Elizabethan gardens and embroidery of the time.